Six new faces named in team to face Collingwood in round one. Did Miers just do that? Local boy who stamped his authority on the 2017 Geelong Falcons’ TAC Cup Grand Final win with seven goals. 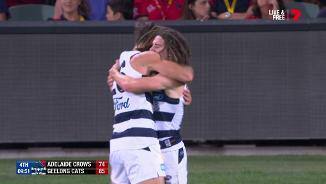 Booted 50 for the 2017 year, which saw him stand out as one of the more prolific small forwards. 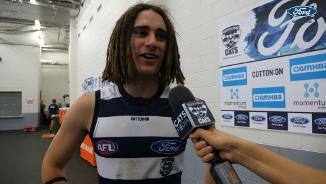 Now an important player for the Cats VFL side, however he is yet to debut or secure a spot in the AFL side. 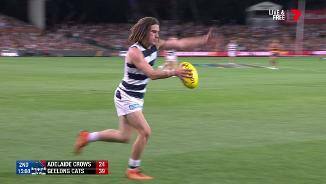 When given the chance, he is likely to bring strong defensive pressure inside 50 and will hopefully add depth to the Cats’ forward stocks which is shown through his VFL efforts. 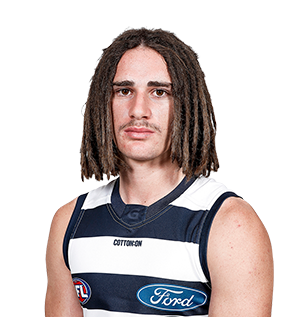 2017 NAB AFL Draft 4th round selection (Geelong) No. 57 overall.